Rare Find. Totally renovated corner 2 bdrm unit with a massive 450 sq.ft. fenced patio. Unit has a newer kitchen, bathroom and hardwood floors. Very open and spacious floor plan. Master bedroom with cheater ensuite. Maintenance Fee includes heat, hot water and free laundry. Comes with one secured parking and locker. Building has had many upgrades such as recent re-piping, new elevator, new intercom system, exterior paint and newer common area carpeting. Lovely grounds with a KOI pond. 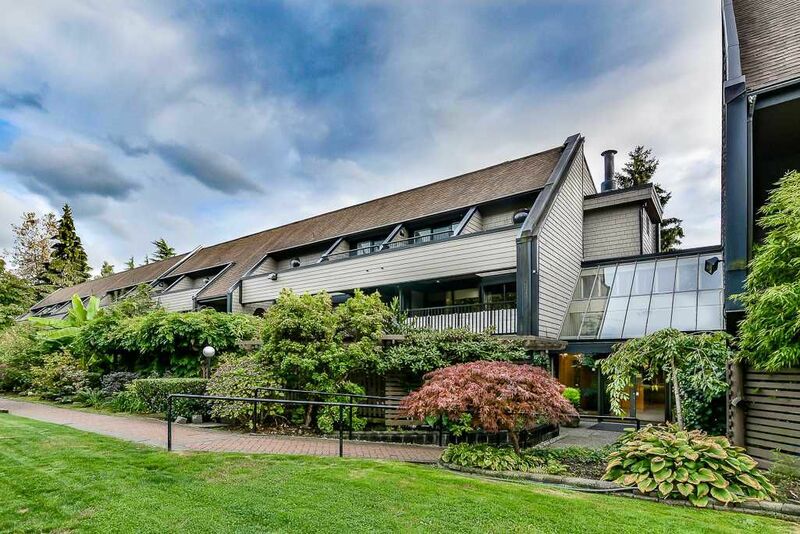 Walking distance to all amenities and skytrain. All measurements are approximate.